According to Gartner, manufacturing IT spending will grow 2.5% in 2015 and accelerate from 2016 through 2018 as fiscal austerity programs wind down and product demand recovers. Clients like Electrolux, GE Aerospace, and WP Hickman have turned to Advanced Data as an industry-recognized leader in providing technology consulting services and products. Our manufacturing clients include some of the most well-known brand names in the world, including manufacturers of automotive, electronics, aerospace technologies, building materials and other precision products. Our clients gain a competitive advantage from our expertise in leveraging emerging technologies to deliver impactful business results. 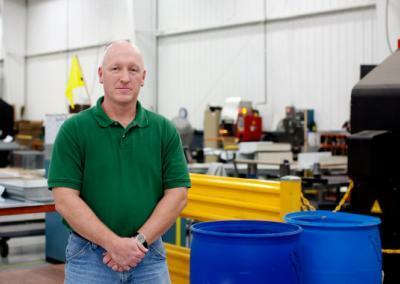 Some of Advanced Data’s greatest successes stories are with our manufacturing clients. We helped WP Hickman move there entire IT infrastructure while also upgrading the network and phone system during a plant move over the weekend with no interruption to operations or production on Monday morning. We also helped a major automotive supplier quickly deploy a wireless network for better connectivity as well as allowing better asset tracking within the plant. Each of our solutions is backed by real-world experience, business-driven results and a strong understanding of leading edge technology. Advanced Data’s manufacturing solutions are designed to help you take advantage of the latest innovations in technology to keep your manufacturing business on the path to profitability and success.